World-changing thinkers and artists wanted! Am happy to be involved as a curator, once again, in Memefest, the International Festival of Socially Responsive Communication and Art. Each year, this event aims to showcase the best activist thinking and creative from around the world around a chosen theme. The rallying concept for 2014 is a call to rethink Dialogue as a means to achieve social change – a challenging and timely premise, in my opinion. Whether you are a student, a wage slave or just live on good intentions, the competition is open to you… as long as you get your ideas or artwork in by September 20th. By the way, the top winners in each category get a trip to Australia out of this! Dialogue is tirelessly presented as ‘the’ solution to the problems of ‘our’ times – in art, design, war, love, democracy and even in the workplace! But what if dialogue is not working? Memefest invites you to submit your critical interventions on the theme RADICAL INTIMACIES: DIALOGUE IN OUR TIMES. We’re asking for honest explorations of the complicated failures and the hopeful potentialities that feed our faith and failure in dialogue – politically, creatively, laboriously and intimately. Competition categories: Visual communication practice, Critical writing and Participatory art. Our curatorial and editorial board of distinguished critical thinkers, educators, researchers, activists and professionals, will evaluate your works. Authors of selected works will be awarded with the Memefest/Swinburne Award for Imaginative Critical Interventions. The international editorial and curatorial board will select the most convincing works. Alongside Memefest’s existing awards, which you can see on http://www.memefest.org, we are introducing two new awards this year! 1) The first Memefest / Swinburne University Award for Critical Imaginative Intervention. The best authors of works in all three categories (critical writing, visual communication practice and Beyond…) will be invited to Melbourne to take part in a special extradisciplinary workshop resulting in a public intervention in the city of Melbourne! 2) Authors of best works in the category, critical writing, will be invited to publish their work in a book published by Memefest and Intellect books in a special new book series! The curatorial and editorial board consists of distinguished critical thinkers, educators, researchers, activists and professionals. Memefest works with leading, cutting edge thinkers and practitioners that are at the forefront of innovation and change in their disciplines and are known for their integrity and ground-breaking work. Curated by Oliver Vodeb and Lisa Gye the award for Imaginative Critical Intervention is given to support critical thinking, as the ability to see situations as they are and imagine them differently in a way that can emancipate and lead to transformation through intervention. Such interventions can take many forms. They create a rupture in the order of things and redefine the relationships between being, doing and saying and our fields of experience. Such interventions conditioned by critical thinking are tightly connected to the principle of response-ability, which is an active position of engagement and the quality to transformatively act in situations, insisting that what matters are the human implications and not only the market implications of situations. The award was given in 2012 and 2013 and is given this year for the first time together with Swinburne University of Technology. The special international event is designed as a one- day symposium, four day workshop and two day intervention in the public space of Melbourne. The event will also feature Swinburne students whose submitted works have been curated in this year’s competition and members of the local Melbourne community who have submitted works or are involved in Memefest or initiatives concerned with social and environmental change. The event will enable direct interdisciplinary collaboration with Swinburne academics Lisa Gye and Dr Oliver Vodeb, together with all three recipients of the Memefest/ Swinburne Award, and other mentors from different areas of the Swinburne Faculty for Health Arts Humanities and Design as well as with local and national experts and activists engaged in social and environmental change through Dialogue. The intensive extradisciplinary workshop will take place between November 18th and November 26th. The Workshop will take place at Swinburne University of Technology and other places in Melbourne. 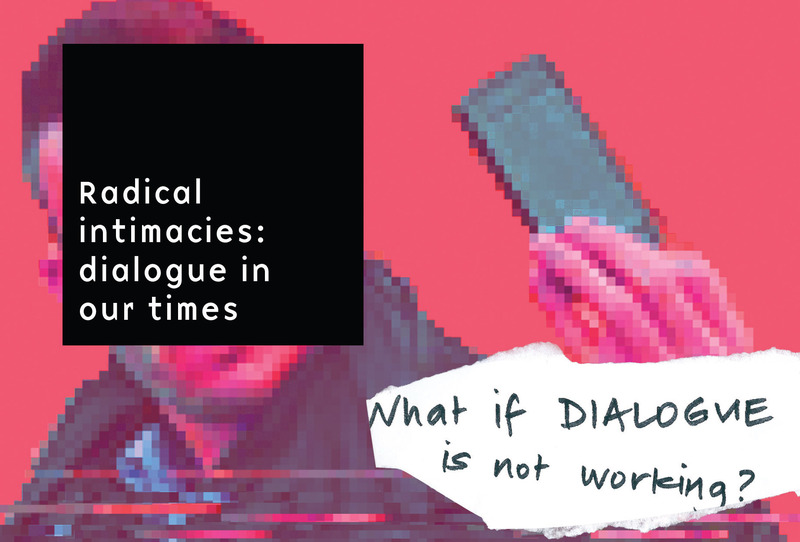 We will work on further extradisciplinary interrogations of this year’s festival theme – RADICAL INTIMACIES: DIALOGUE IN OUR TIMES, with the aim to critically intervene in Melbourne’s public space. ← Where have all the networked revolutions gone?